Kiwi Immigration is an immigration consulting centre and one of our start-ups launched in 2018. Along with a reliable licensed immigration adviser we decided to boost this business. 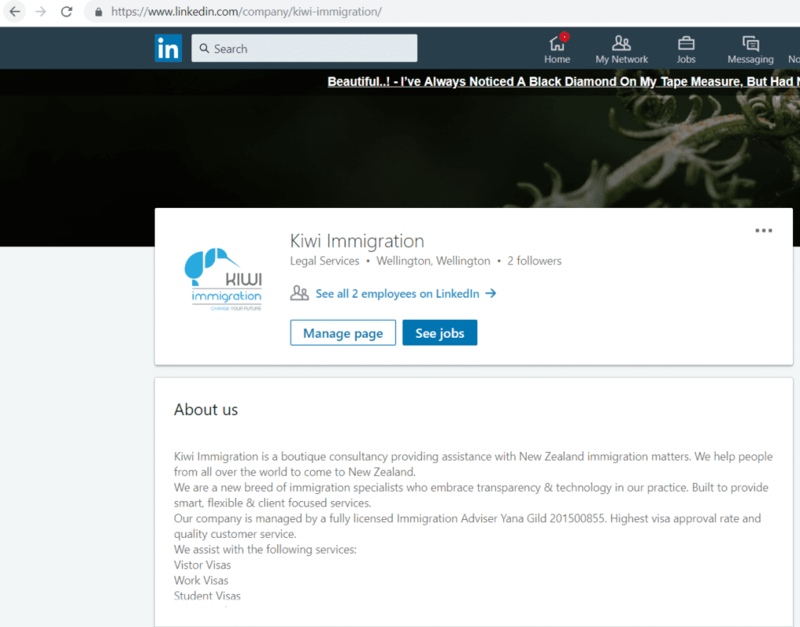 Kiwi Immigration has been introduced to Facebook as a services page and in LinkedIn as a company’s page. A proper marketing plan for content has been implemented. Our SEO specialists are working on optimisation of the website and results will appear in some time. Paid advertisement has been planned and is going to be launched after a trial month of business operation. Taking our experience in video creation, we are working on advertising campaigns, which are going to be launched on YouTube for proper promotions. This is a new business, which has huge potential and we believe in its growth.